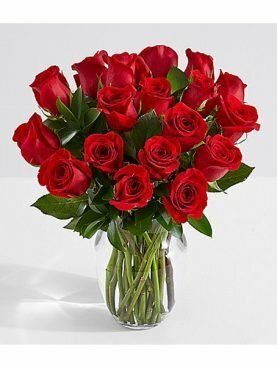 Really impress your loved one with this romantic bunch of fifty finest long-stemmed red roses. Accentuated with fresh greenery and hand delivered, it’s a lovely presentation of impressive quantities. Measuring approximately 26 inches tall and 23 inches wide (approx. ), this high-end floral emotion is the perfect way to send your deep devotion to your sweetheart or loved one. Long stem flowers make a beautiful luxury arrangement for anyone special. The flower of love, when assembled in these large romantic bouquets, makes an immensely impressive gift when it comes through the door. It’s sure to make his or her jaw drop. Great for a birthday, or anniversary’s Day delivery. Celebrate today's special event with a flower delivery! 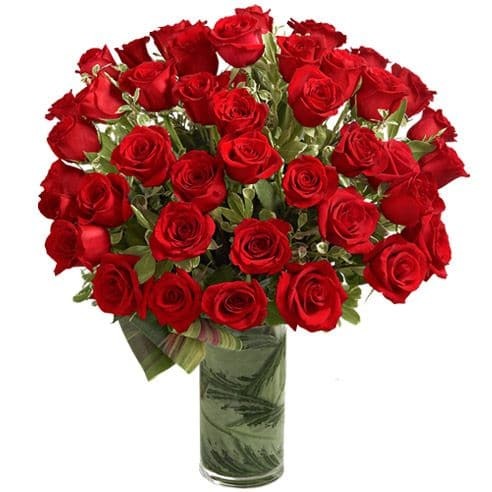 ProFlowers.pk offers beautiful flower arrangements for same day delivery at your doorstep. 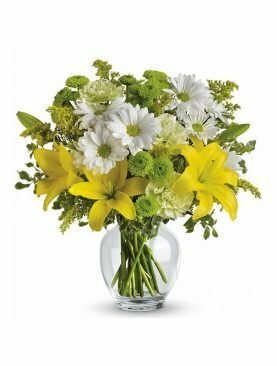 Whether you need to send flowers to Lahore, Islamabad, Karachi or Around the Globe, ProFlowers.pk offers Pakistan flower delivery from Lahore to Khyber. Want to make it a one-of-a-kind gift? Add a customized cake, teddy bear, chocolates, high-quality leather wallets, leather belts or a balloon bunch to your online flower order. We are the same day delivery experts; if you need flowers delivered today there is no better choice than ProFlowers.pk! 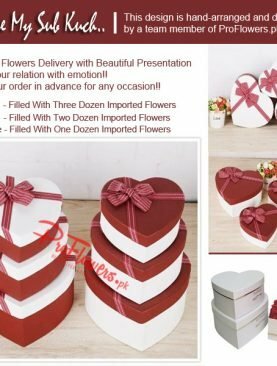 ProFlowers.pk focuses on helping you find the perfect gift to send for every occasion, from birthday gifts to same day flowers baskets and get well flowers. 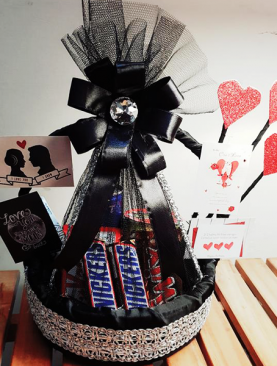 We offer a large collection of floral arrangements, gifts baskets, plants, wallets, teddy bears and balloons so that you can easily find the ideal present to send to a friend, your Mom or family member. Each bouquet from our online flower shop can be delivered in the Lahore, Karachi, and Islamabad and all over Pakistan. 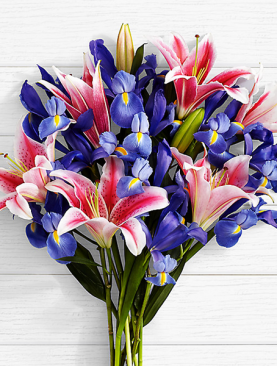 The flowers and gifts are delivered with a free custom-made card message so that you can write a sweet Happy Birthday message or a sweet Mother's Day card to send your love to your mom. 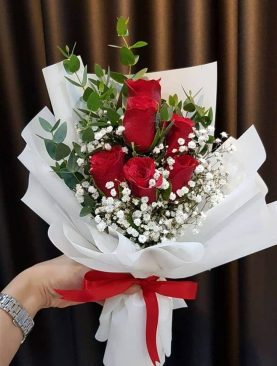 If you need flowers delivery, we offer a selection of hand arranged bouquets created by a local florist available for same day delivery from Lahore all the way to Karachi. ProFlowers.pk is the largest privately owned online flower company in Pakistan. We strive to make your experience ordering flowers with us unforgettable. 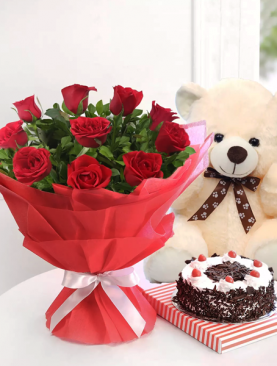 Our online store offers a collection of exclusive gifts including a teddy bear, leather wallets; customize chocolate cakes and balloon delivery, for same day delivery flowers or next day delivery. 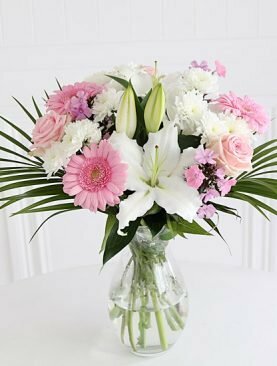 We know that when you send flowers online it comes from the heart, so we work hard to ensure your bouquets are fresh, lovely, and attractive and delivered in time to celebrate every occasion. © 2015 - 2018 ProFlowers.pk. All Rights Reserved.